Rick Riordan knows how to craft an otherworldly adventure that spans space and time, with mythical heroes, and storylines that celebrate the power that comes from learning about who you are and what you are capable of. Riordan’s page turning novels, from his Percy Jackson series to his Magnus Chase series, are essential middle grade reads (and fun for adults, too!). To help keep the adventures going even when you’ve finished his current canon (and while you’re waiting for The Hidden Oracle to drop on May 3! ), hook your young reader on a few of these other adventure-filled series and help them welcome in a new year of reading! In the third and most recent installment of the Treasure Hunters Series, the Kidd siblings continue their rapid around the world adventures to save and find the greatest treasures imaginable. Now they are off to Egypt and China to find priceless art stolen by the Nazis. 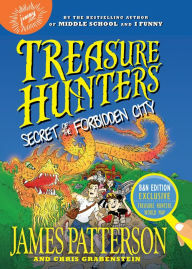 Fast paced, filled with action, and loaded with cool historical and geographical features from every country, the Treasure Hunters series is a classic, page-turning, highly illustrated adventure that young readers will love. This sci-fi Disney themed adventure novel series seriously has something for every reader. Love danger? Wonder how movie villains who have come to life through technology might sound? Ever dream of getting trapped in the park overnight and fighting to save the Magic Kingdom? Each book gives you the sense that this could really happen to you, which just makes the adventure more fun for readers who want to be fully absorbed in the story. 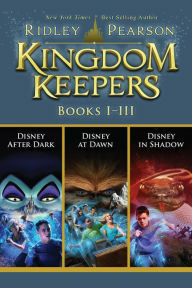 Fans who dig this series will definitely want to check out the first novel in the new Return series Disney Lands (Kingdom Keepers: The Return Series #1). 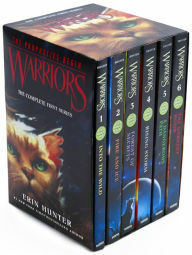 Hunter’s spellbinding series tells the story of several clans of wild cats who have long shared the forest according to the laws laid down by their ancestors—until a new player, an ordinary house cat, steps in and changes everything. With a richly developed world, unforgettable characters, and tons of imagination, this series is especially perfect for animal lovers. After years of war between dragon tribes, a prophecy tells of five dragonets who will end the bloodshed and choose a new queen. Drama, intrigue and action follow as everyone takes sides and fights for what they believe in. Fans of the mythology and fantasy aspects of Riordan’s books will feel right at home in Sutherland’s world of Pyrrhia. 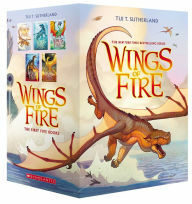 This box set is a great starter for those new to the series, and longtime fans can pick up the newest novel, Escaping Peril (Wings of Fire Series #8), in stores now. If you’ve just seen the Star Wars: The Force Awakens, happen to love a thrilling space saga, or just want to get young fans of the film franchise to lose themselves in a book, there are a number of great new middle grade novels that fit the bill perfectly. 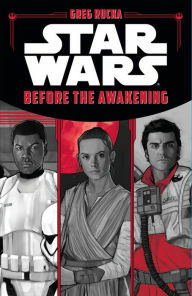 Each story in the Journey To Star Wars series follows a character who has to deal with their past, live up to their potential, and take on overwhelming odds (like Riordan’s heroes!). The novels Journey to Star Wars: The Force Awakens Moving Target: A Princess Leia Adventure, Journey to Star Wars: The Force Awakens The Weapon of a Jedi: A Luke Skywalker Adventure, and Journey to Star Wars: The Force Awakens Smuggler’s Run: A Han Solo Adventure, follow the beloved characters from the original trilogy, while the newest book, Star Wars The Force Awakens: Before the Awakening introduces readers to the stars of the new film. Kids and adults alike will want to unwrap any and all of these, no doubt. 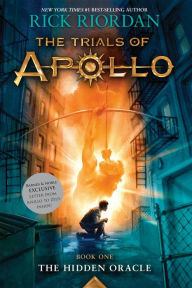 What adventure series are also beloved by the Percy Jackson fan in your house? Originally published at www.barnesandnoble.com on January 21, 2016.